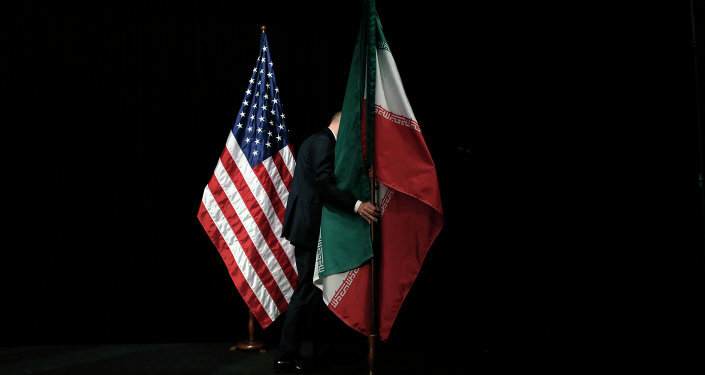 Just days after Iran launched the Sahand, a stealth destroyer, in the Persian Gulf, Pentagon officials announced that a US aircraft carrier strike group will arrive in the Middle East in a matter of days, The Wall Street Journal reported. The upcoming deployment will end the longest period in two decades that a carrier group was absent from the region. The USS John C. Stennis and support vessels will arrive by the week's end in what the media outlet has described as 'a show of force against Iran' at a moment of heightened tensions in the wake of the renewal of anti-Tehran sanction targeting the country's energy sector. 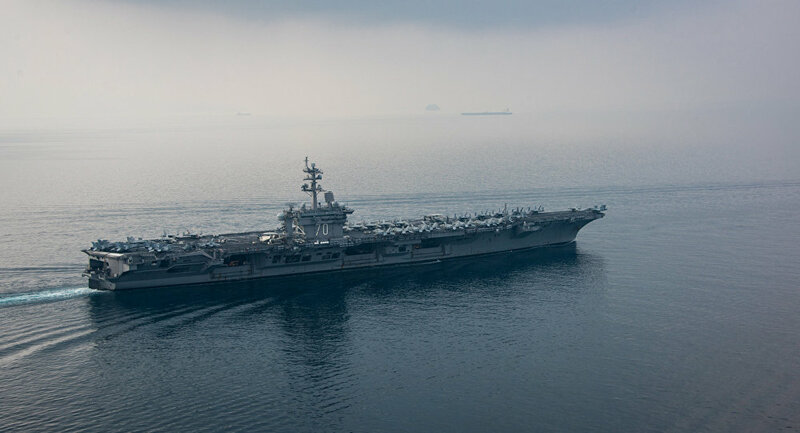 The Stennis is expected to maintain a presence in the region for some two months to 'provide a deterrence' against any potentially hostile Iranian activity in the waters, an unnamed official told the WSJ. After US President Donald Trump announced Washington's decision to withdraw from the 2015 nuclear deal with Iran and to re-impose sanctions on the Islamic Republic, Iran's military leadership has consistently warned against any provocations, threatening to close the Strait of Hormuz, the strategic waterway linking the Middle East crude producers to key world markets. The presence of the US carrier group, the WSJ alleges, is aimed at preventing such a development. Most recently, Brian Hook, the State Department's Special Envoy for Iran, said that the 'military option' was on the table. 'We have been very clear with the Iranian regime that we will not hesitate to use military force when our interests are threatened. I think they understand that. I think they understand that very clearly. I think right now, while we have the military option on the table, our preference is to use all of the tools that are at our disposal diplomatically', he said. In a televised ceremony earlier this week, the Iranian Navy unveiled a new destroyer, which is said to be equipped with advanced weaponry, a flight deck for helicopters and radar-evading stealth properties and is said to have electronic warfare capabilities. The launch of the vessel came shortly after Iran's Supreme Leader Ayatollah Ali Khamenei said that the deployment of the new ships was proving the country's ability to develop modern weaponry. At the same time, he emphasised that Tehran was not looking for confrontation with any other country, but would continue promoting its defence capabilities. The United States has repeatedly accused Iran of 'ongoing missile proliferation', claiming that the missiles Tehran was creating were capable of reaching Europe and that it had test-fired a ballistic missile in early December. 'The Iranian regime has just test-fired a medium range ballistic missile that is capable of carrying multiple warheads. The missile has a range that allows it to strike parts of Europe and anywhere in the Middle East. This test violates UN Security Council resolution 2231 that bans Iran from undertaking "any activity related to ballistic missiles designed to be capable of delivering nuclear weapons, including launches using such ballistic missile technology"', US Secretary of State Mike Pompeo said. Washington has called on its European allies to beef up pressure on Iran by imposing new sanctions to help halt the missile proliferation.